CEO of @startuppoint. Russian startup community starter. Cofounder/president at @ostrovok.ru. also invest in ambitious and focused entrepreneurs. Oxford graduate. Energy. Financial Services. @university-of-california-berkeley. @MIT. Founder, Chief Technology Officer at PENXY, Successful non-profit start-up raised, MIPT alumnus, IT-architect, skilled lead-developer. Scala, C++, Java, C#, server-side development, peer-to-peer networks. Back in 2005 I created Morpheus, the most popular p2p app in North America. CEO / co-founder @flirtic.com. Co-founder: @cherry-media (biggest Baltic @groupon) and @kurat-com. Partner at MTVP. 10 years experience in Moscow. Graduated MGIMO. Founded More Salonov in Russia. Rised strategic money. Now CEO at YCLIENTS.COM - online reservation platform for local service businesses. Founder of @maesens @socialweekend @goodwillion . Serial Entrepreneur. BizDev. Marketing. Management. Optimist. Co-founder & CEO of @pinpoint. Master of Computer Science TTI SFEDU. 6 years experience in internet-marketing. In 2011 founded @travelatus, in 2013 sold it to @excursiopedia and joined the team as VP Innovations. Serial enterpreneur. Social media expert. Banking (Sberbank) and journalist (Kommersant) background. CEO of Wonderwork. Founder of @round-2 and Manner & Matter label. Worked at Saatchi & Saatchi, RZLTT and Windfall Systems. Serial entrepreneur, visionary business model expert, computer and web industry specialist with over two decades of relevant experience. Works at @the-untitled-vc, acting as CTO of various portfolio startups. Entrepreneur & Marketing Strategy Manager. 7yr in top CPG, Tech and Internet: @hp @sabmiller @yuptalk-ru @kodskidki-ru. @university-of-california-berkeley MBA. BD @app-annie, Founder of @lovey, @softlation; Studied at University of Michigan, @stanford-university, VSU; M.P.A. degree. CEO at Avega Capital. Co-founder of FundNAV, Votepoller. Worked at CERA and Marquard Spectrum. I am an entrepreneur from age of 14. Before working on @kula-1, I founded and successfully sold a chain of toy stores with gross revenue of $1 million. CEO of @amplifr, the productivity suite for musicians, business development geek at @evil-martians, Rails shop in Moscow, Russia. Co-Founder/CEO Commmeta. Business development background in new media (Comcast, NBCU, Bazelevs). Raised >$5M for IT/media start-ups in '10. @university-of-california-los-angeles Anderson MBA. Editor-in-Chief @ "IT Business Week (International Edition)", Co-Founder & CIO @ "Jerusalem Startup Hub", Founder & CEO @ "@jewishnet-jewish-social-platform"
CEO, founder of bombsquare. Founder of ZOOM, ZOOM TV. 14 years in IT and over 200 projects participated. Experienced Product Manager. Worked at Mail.Ru, AlterGeo. Recruiting Sports & Gaming Leaders. Founder @octobertech-1, @miki-1 . Serial tech entrepreneur, web developer. I want to make people's lives around the world much better using tech. Co-founder of @bitclass • Worked at @mckinsey-company • Studied at LSE and @harvard-business-school (MBA 2009). I am Very goal oriented, extremely motivated and not a quitter. I am known to be a risk taker. life is short and you should live it , rather than simply exist. Founder of Round Lake, Deviants, partner at Hint Solutions. Making people happy. Strong business/product management background both in modern web and corporate. Project Manager set on making a Non-Hierarchical Radio Network. Built first FM station at 23. Proven on AUD1.1M projects, exp in AUD500M Company. Founder and CEO of Vnovation Electronics • Worked at @citigroup, @allianz Founder&CEO of StoneHedge Finance Group (Suisse), 5st startup run. Business Developer. Founder & CEO of Usalytics. Previously bootstrapped @itima_ru, Russian outsourcing development company. Business Development Director of Navigine and Opiner. PhD in Physics and Math at Lomonosov MSU. Strong background in business consulting, IT and public sector. Entrepreneur, product and business developer. Have 5+ years of project and product management experience. Strong sales and negotiator. Founded Dusk Rift - a game about real world. 15 years in games: publishing, product management, analytics & monetization. MBA. A lifelong learner. ViewHue Founder. Community Building Expert. Master of Business Informatics, E-Business specialisation. Founder of @dressup-ua and @mylabel. I'm business owner and top qualified programmer.20 years I developed custom software for various companies/people,sometime alone, sometime as team chief. CEO at Gorodok. MIPT Master's degree. Strong engineering and team management background. Building tech company in Russia. Co-Founder of @justhost-ru, 4 years of entrepreneurship. Lead Dev @quest-software, @mks Instruments (project for DARPA). 10 years in Software Dev. 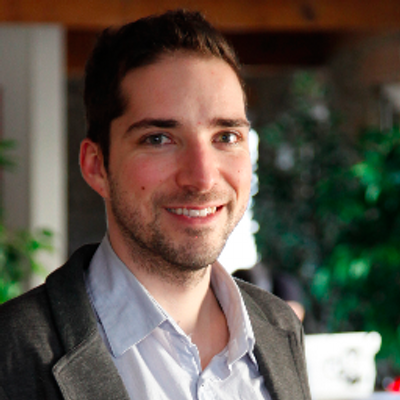 @labbler Founder and CEO, Strong software development, teleco and business background. Software development Degree, MBA degree. Founder&CEO of Mnemonic, mobile microtasking laborforce. Worked as Product Director and COO at @dream-industries, product strategy for @yota. Founder, CEO & Designer at @readymag. Previously founded a design studio SILA and worked as a lead designer at Art.Lebedev Studio. Founder @Shop-Script, Co-founder @webasyst, founder @PocketLists, Founder @1312, Founder @yesterdayme. Designer, developer, system architect, PhD. Founder @panolynx. Founded and exited 1 company in Russia. Marketing and sales, UI/UX design, basic programming skills. PhD in Computer Science. Researcher at Moscow State University. Web developer in Django. Main developer of ISTINA in MSU. Entrepreneur, engineer, with strong and diverse technology background. CEO and Co-founder of @altergeo (Gvidi). PhD in Physics and Mathematics. Founder and CEO of successful IT companies. Founder and CIO of @cashoff . Strong business background, MBA, excellent experience and knowledges in e-banking systems development. @seamayor-com Founder, born in Moscow, HSE Moscow MBA. Co-founder of the Smart Solutions Creative bureau, partner of the Ratio Scripta Consulting company. Founder @mageo • Studied at @moscow-state-institute-of-electronics-and-mathematics. More than 10 years in software development, took part in 3 startup projects. Founder of Channelkit, IZTP and Designthe.INFO. Also founder and information designer at Infodesk. Information architect of Masterskaya post-grad design course. Hightech Creator, CEO Flexlab Ltd. We invented the notebook with size of a USB flash drive. µPC™ is the most protected personal computer in the world. Founded Sand Sign, Strong technology background (Moscow Engineering Physics University), Co-Founder and CTO at PropHop. Founder @getsy. Studies: University of Savoy (Fr), IPAC (Fr), Ifalpes (Fr). Worked at Euronegoce (Fr), Concept Event (Fr), Rive Gauche (Ru), DDH (Ru) etc.. Founder at Petamatic Ltd - a company behind MyClasses.org and PayBySharing.com projects. Co-Founder Bombermine. IT-Entrepreneur, Coder (Frontend/Backend), UI/UX, Peopleware. CEO at LITTLE retail online store. Kids designers and fashion brands. CEO of Clinics Online. 2 thematic projects background. Creation and development of consumer community. Marketing high-tech products. Risk management in high-tech, high-risk endeavors. Founder and CPO of What Matters; Worked at Yandex, Mail.Ru Group; Founder of inTaxi. Founder and CEO at Gruppa99. M&A lawyer with passion for outdoors. Founder & CEO of easy ten. Using my Medical Psycology skills for building a world-leading educational apps. Co-founder at unadox and New Clear Radio. Posesses decades of technical experience in international IT, Software, Telecom, Internet and Sales assignments. Founder and CEO at leading russian jewelry ecommerce.